From our pri­vate meet­ing room locat­ed in a sep­a­rate out-build­ing from the Inn to the sim­ple ele­gance of the Inn’s Veran­da, the Atlantic Inn has always enjoyed an impec­ca­ble rep­u­ta­tion. Ser­vice is dis­creet and atten­tive, and with the lev­el of pro­fes­sion­al expe­ri­ence offered at the Atlantic Inn, all of your expec­ta­tions will be met. 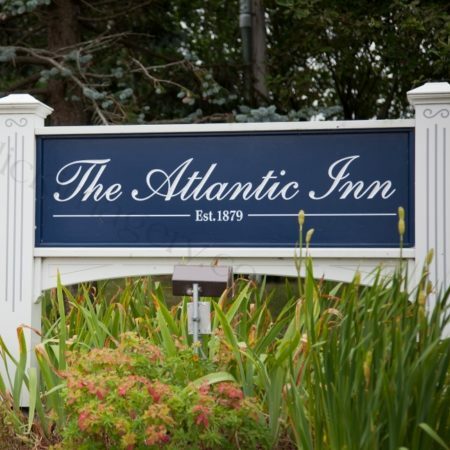 The Atlantic Inn offers a beau­ti­ful­ly appoint­ed space that is per­fect for any occa­sion. Inter­net, over­head pro­jec­tor, flip charts and oth­er audio visu­al and video rental ser­vices are avail­able for presentations.